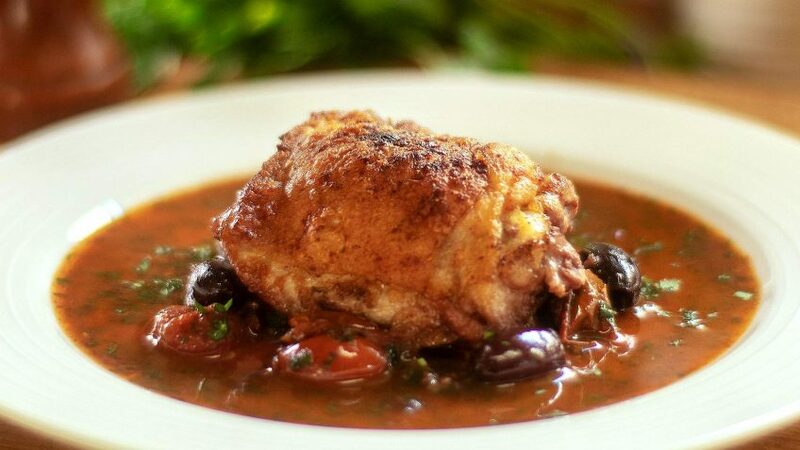 This roasted chicken recipe will amaze you with its rich gravy. 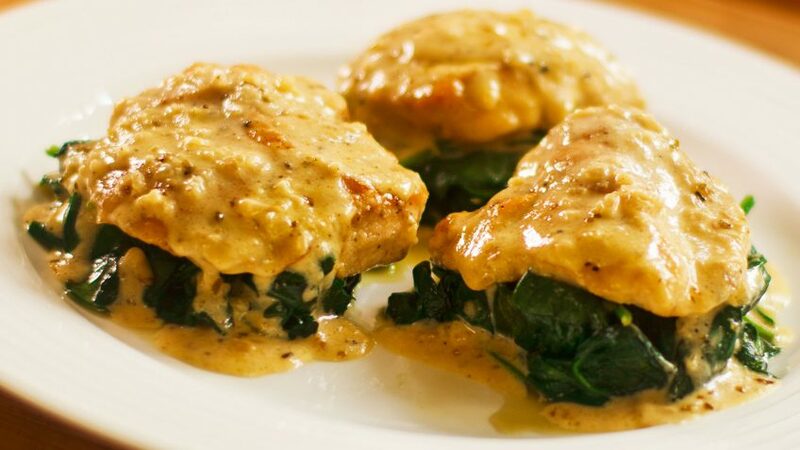 The tarragon herbs compliment the chicken bringing this dish to a whole new level. 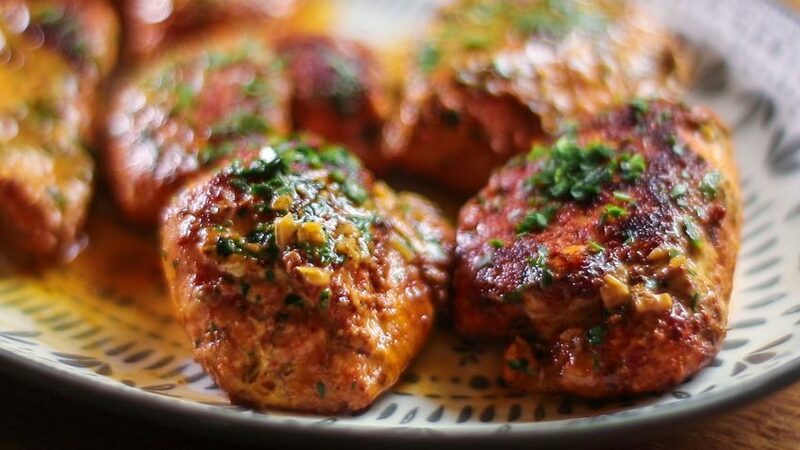 the butter shallot mixture keeps the breasts juicy adding a wine and tarragon herb flavour. It’s relatively easy to make, and worthy of a fine dining restaurant. Now you can easily make this at home. 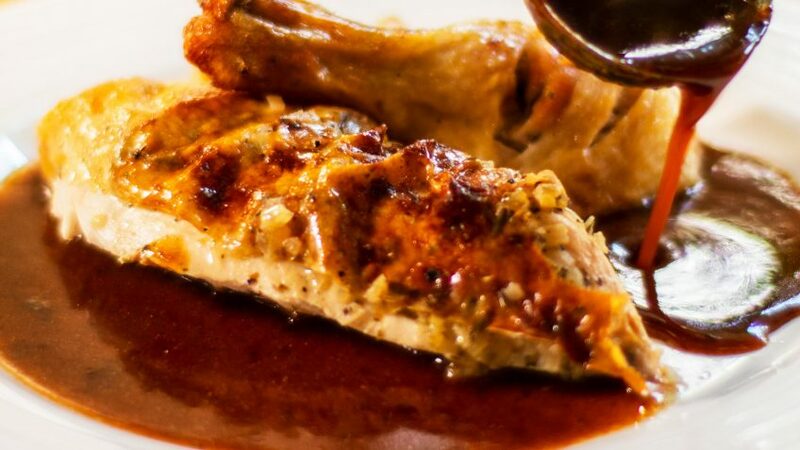 Enjoy this roasted chicken tarragon with an amazingly rich onion and garlic gravy. 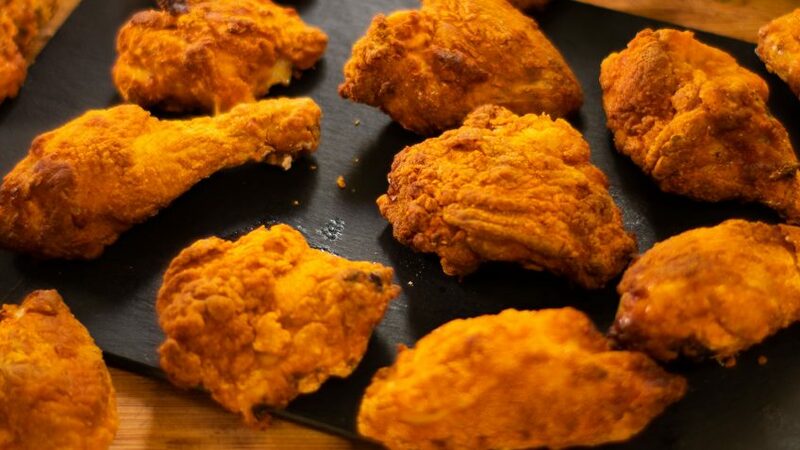 Separate skin from chicken breast flesh using your fingers, use a soft spatula to reach deeper, avoid tearing skin. With a sharp knife, make 2 or 3 incisions by scoring the thickest part of each leg. Using your hands, insert the soft butter between the skin and the breast, and push it through as far as you can. Repeat for other breast. Any butter left over, place in cavity. Place a washed whole lemon in the microwave for 20-30 seconds. Prick a few holes with a knife and insert into the cavity of the chicken. If you’re lemon is too large, cut into wedges and use half. In a roasting pan, drizzle with olive oil. Peel the red onions and cut width-wise into three pieces (disc shape). Place the pieces around the centre of your roasting pan. Cut the garlic head in half (width-wise) remove the root if any, and place both sides place in roasting pan. Position your chicken on top of the onions, drizzle with a little olive oil, ensure every part is coated then season with salt and pepper. Place in preheated oven and cook at 320°F – 160°C for approx 90 minutes. This can vary with chicken size. Keep an eye on the bottom of the tray, you want caramelisation, but not burnt. If you feel it’s getting too dark, just add half a cup of water. Once cooked, remove roasting pan from oven and place on stove. 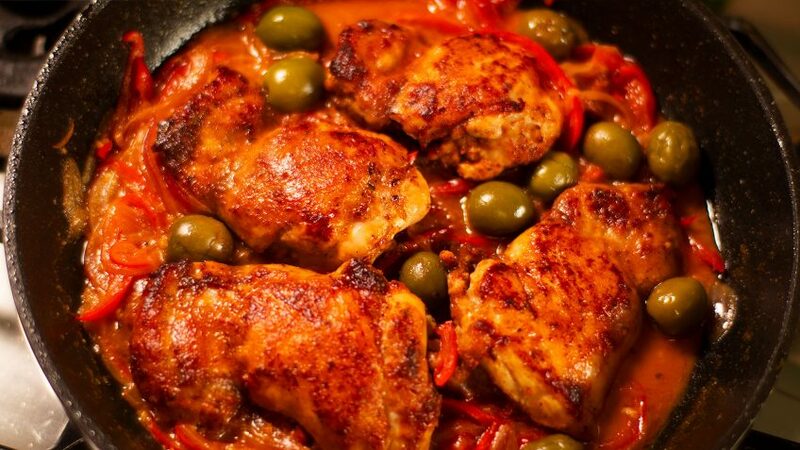 Remove chicken from roasting pan and set aside to rest a few minutes. While the chicken is resting, you can make the gravy. Start by crushing with a masher or similar all the ingredients in the roasting pan. The onions should be caramelised, but not burnt. Add the flour, mix well and turn heat on to low. Let the flour cook for approx 30 seconds as you mix, then deglaze with one cup of white wine and one cup of water. Scrape the bottom using a whisk so all the brown parts dissolve into the liquid. Add the bay leaf, check seasoning and add salt and pepper. Strain using a sieve into a bowl and set aside. Gravy ready. Carve your chicken and serve immediately with the gravy.